Expert in Indian Leg Wrestling, competitive in crossword & sudoku puzzling, and trash-talker to her opponents, Ginger loved to play. With a witty sense of humor, she loved to play practical jokes and was always the funniest person in the room. Her easy-going fun-loving spirit left us too soon the morning of March 16, 2019. She is dearly loved and will be sorely missed not only by family and friends but the makers of Little Debbie honey-buns. Born July 25, 1948 in Marlow Oklahoma to Claudia Pearl & B.R. Peddycoart and third in line of six children, she was a proud wife, mother and grandmother. Married 52 years, she is survived by husband and high-school sweetheart, David L. Hornberger and their children Deb, Kevin (her favorite) and Casey (her other favorite), their spouses, 8 grandchildren, and 1 great-grandchild, sister Connie Stewart of Duncan OK, brother Barney Peddycoart of Duncan OK, sister Kathy Calhoun of Ardmore OK, and many nieces and nephews. Ginger was a sports fanatic and one mean-mammaw on the court and field. 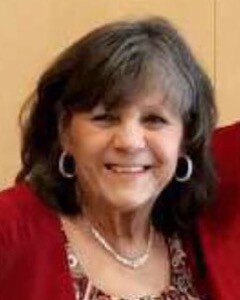 A high school basketball player and recreational softball player she enjoyed playing and watching sports, especially when her grandchildren were in the game. She was their biggest fan and an occasional nightmare for the referees. Ginger had the biggest heart especially for babies and animals and even the occasional bug that found its way inside. David says, “she is the only person I know that has always had a reserved seat in Heaven”. In lieu of flowers, the family asks that donations be made to St. Jude’s Children’s Hospital or the ASPCA.